Earlier today I know I finished my usual amount of arena battles, and dressed 3 of my heroes in different outfits. Then I closed the game. Later I find that I still have 1 arena battle left and my honor tokens are lower than when I closed. I know I am not imagining something- because my heroes are in their old clothes! I think similar issues have happened to me on other days (such as suddenly having more stamina and less loot in equip bag than I thought), but I thought they were my imagination or poor memory. Is this an issue with the server (Twin Peak for me) or in the way the game is closed, or some other bug? I think the “oh my poor memory” feeling has only been after the last major update, at earliest. Thank you for reporting this. We’ll have a look! I’ve said this before, but I do think I lost progress once, even before the last update. I suggest that you do yourself a favor and manually save the game fairly often (like I do), especially after making an important purchase or collecting an important reward. P.S. Speaking purely as a programmer, if there was absolutely no risk that progress would not be saved automatically, then the developers would not have given us a manual save option. Ah, I never noticed- where is the save button? 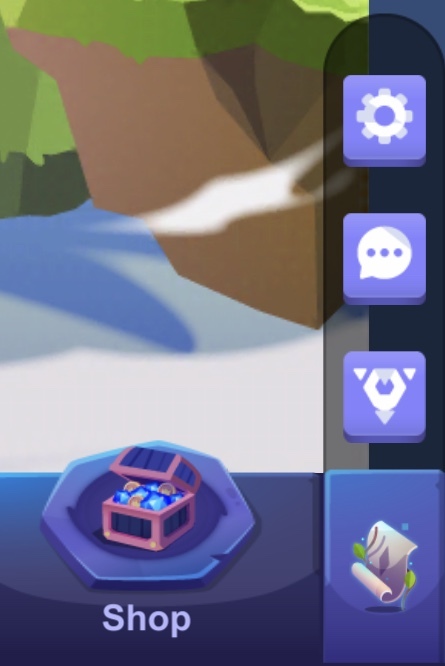 Save Game is located on the Settings screen, which can be found by clicking on that gear icon in the lower right corner of the screen (after clicking on that scroll icon in the very corner). For what it’s worth, I also always save the game manually just before I quit the game. Just because I’m paranoid about saving doesn’t mean that the game isn’t out to get me.